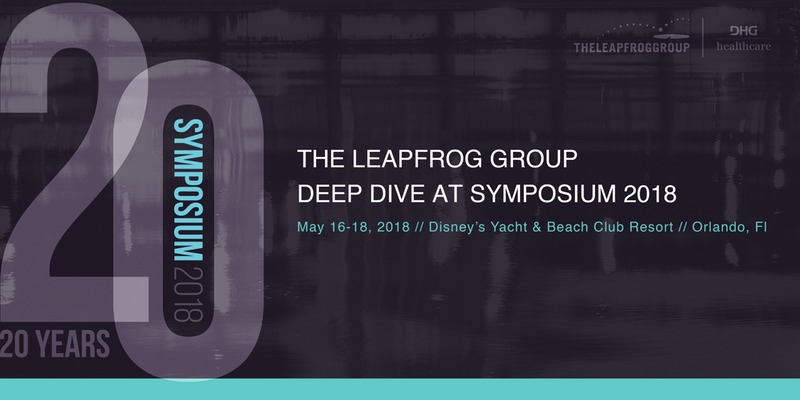 The Leapfrog Group is co-hosting an 8-hour Deep Dive into the Leapfrog Hospital Survey and Leapfrog Hospital Safety Grade during the DHG Healthcare Symposium May 16-18, 2018 in Orlando, Florida. The event, geared toward hospitals, will consist of a session from 8am – noon on Wednesday May 16th focused on the Leapfrog Hospital Survey and a session from 1pm – 5pm on Thursday May 17th focused on the Leapfrog Hospital Safety Grade. Attendance for hospitals is $495 for the Leapfrog sessions and includes free admission to the rest of the DHG Healthcare Symposium. View the full agenda and register to attend the session.